Your country estate awaits! 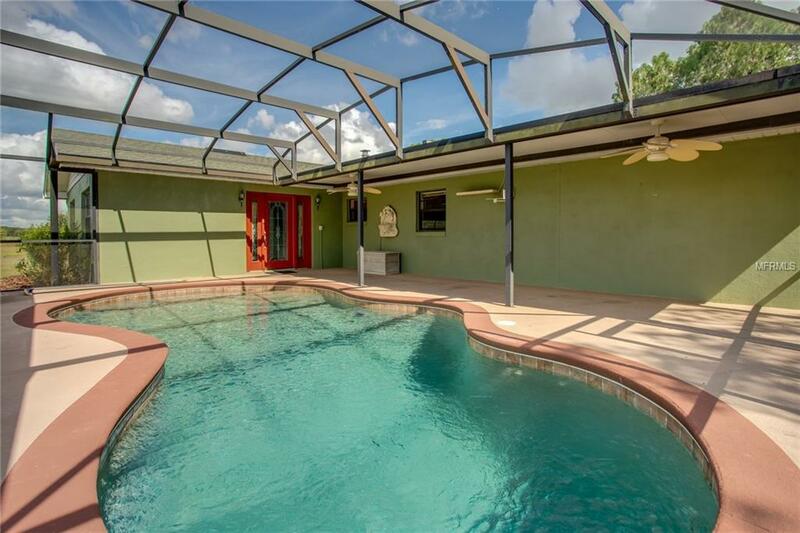 Enjoy this incredible piece of property with not one but TWO peaceful homes! This 23+ acre lot which is zoned as agricultural & is ready for you to make it your own. 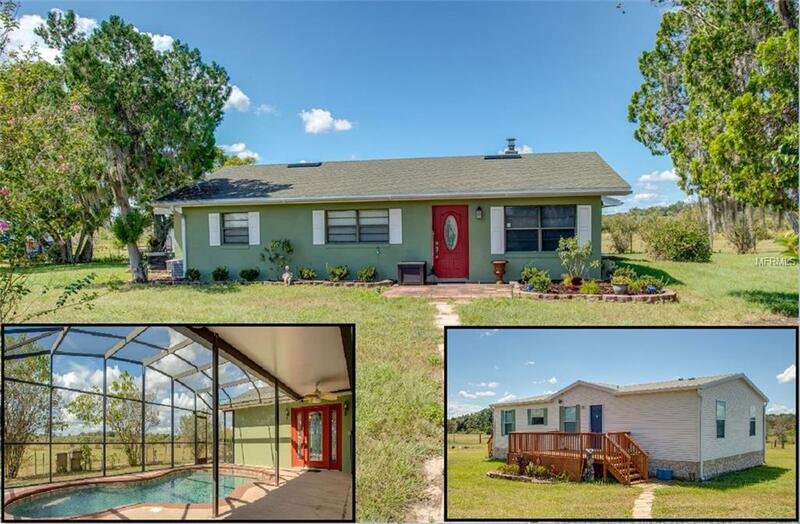 The main house is a 2 bed/2 bath pool home which offers multiple grand living spaces that are an open canvas for usage and have newer laminate flooring throughout. The master bedroom has an amazing attached ensuite with claw foot tub, and large step in shower. 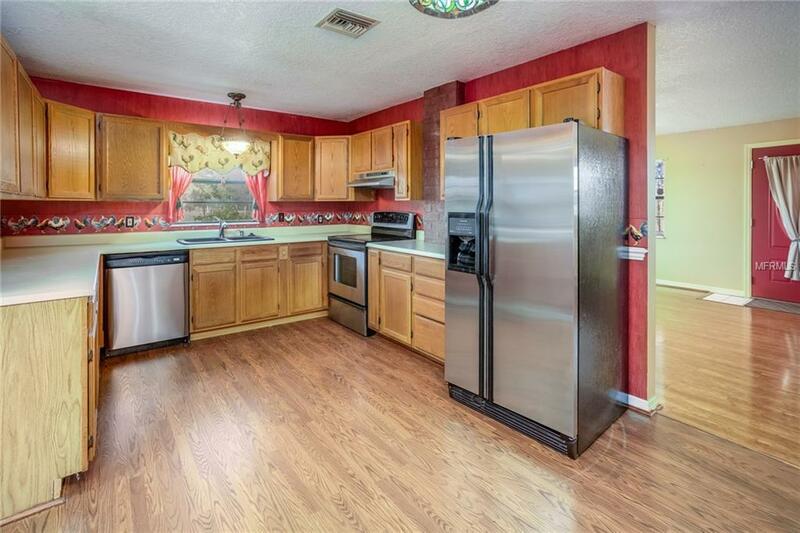 The eat-in kitchen provides newer stainless appliances and plenty of cabinet and counter space. The front room is prepped and ready for a wood burning stove. Out back, you'll find a generous covered seating area in the screened pool patio - surrounding a crystal clear heated salt water pool. The 3 bed/2 bath mobile home has been very well cared for and is move-in ready. The living room is large enough for a full-sized sectional and the galley style kitchen feels brand new, plus has a utility closet for convenient laundering. It also benefits from a large front deck which is a great spot to get some air while enjoying the quiet. 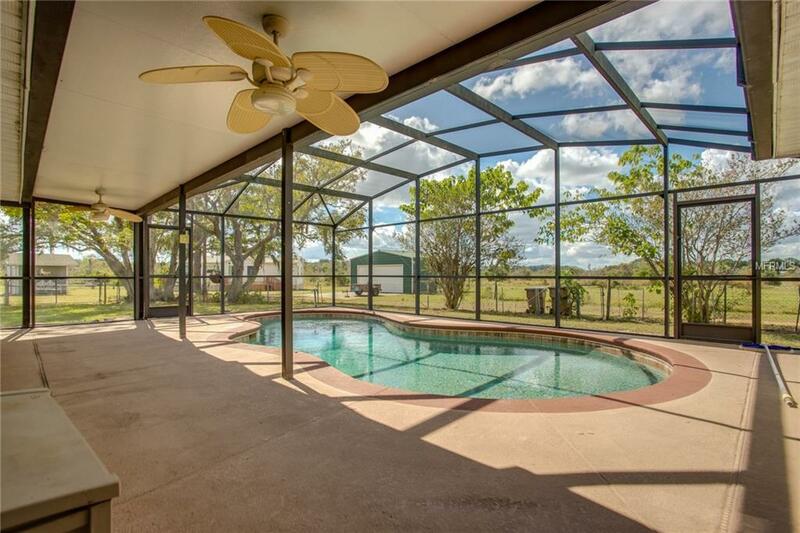 This property has SO MANY additional perks including a free standing 25' X 25' garage with parking pad (with extra space for a workshop), barn with stalls, tack room, storage rooms, a separate 2-story multi-use outbuilding with bathrooms, and so much pasture space for horses or other animals. Ocala Forest Trails are just minutes away as is Lake Yale so you will have plenty of outdoor activities.